iSteve Rainmeter Skin by Minhtrimatrix. Hello everyone, today I want to share on of rainmeter skins. 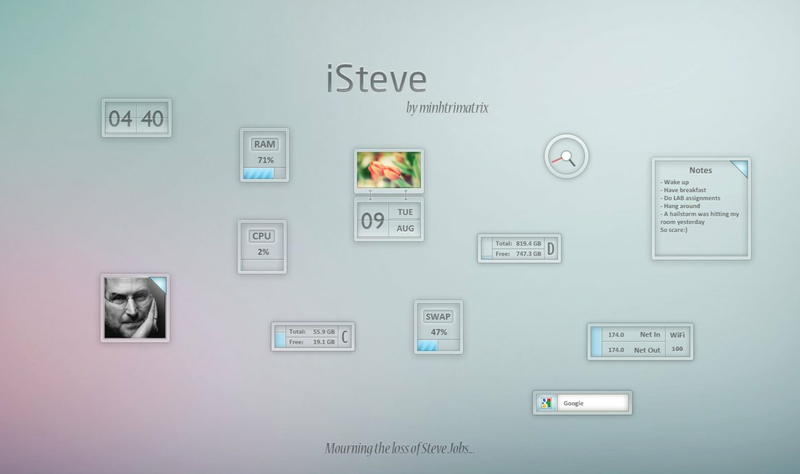 Name of this skin is iSteve created by Minhtrimatrix. I find this skin from DeviantArt on Minhtrimatrix gallery. So, before I share this skin, I want to say thank's alot for Minhtrimatrix for your awesome skins.